Rail technology leader Bombardier Transportation, the Berlin-based division of Bombardier Inc., has celebrated the start of passenger services on the Gold Coast light rail system in Queensland, Australia, designed to deliver a world-class public transport service capable of handling 50,000 passengers a day with an in-built capacity to expand to 75,000 passengers per day. According to the press release by Bombardier, the GoldLinQ consortium has successfully delivered the 13 km light rail corridor with 16 stations and 14 distinctive, modern BOMBARDIER FLEXITY 2 trams in the projected time frame of three years as part of the public private partnership with the Government of Queensland and the Gold Coast City Council. The new light rail corridor connects the new Gold Coast University Hospital, Griffith University and the commercial, retail and recreational centres of Southport, Surfers Paradise and Broadbeach; significantly improving the liveability of the Gold Coast by developing accessibility while reducing the effects of congestion that come with a rapidly growing city. 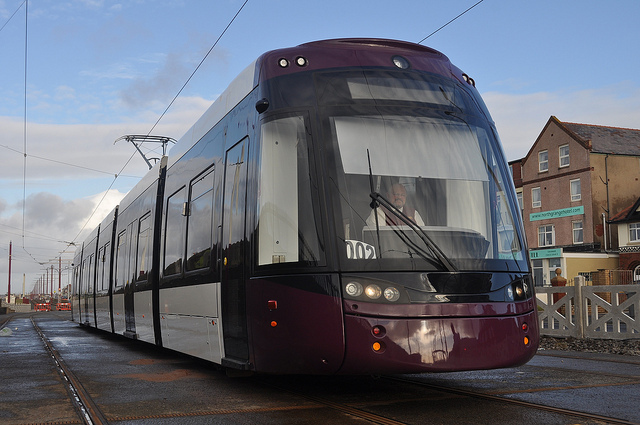 Bombardier has delivered the electrical and mechanical (E&M) scope including the new electrically powered, low-floor FLEXITY 2 trams. “Each tram is 43.5 m long, 2.65 m wide and 3.6 m high. The trams are bi-directional with a cab at each end and have a top speed of 70 km/h. Inside features include comfortable seating, air conditioning, wheelchair spaces and multipurpose areas for luggage and prams, as well as surf board racks,” it says in the press release. As part of its turnkey system package, Bombardier also delivered signalling and control systems, communications systems, electrification including traction power supply substations and overhead line equipment (OHLE). In addition, it provided project management, systems engineering and integration, testing and commissioning for the new LRVs and signalling system. At the depot, Bombardier supplied depot and plant equipment and will now provide the vehicle maintenance for a period of 15 years. “Stage one of the Gold Coast light rail is all about connecting the city’s key precincts and providing sound transport infrastructure around which the city can grow. Now that light rail is here, citizens can choose to live, work and travel in new and different ways in and around the Gold Coast,” said Phil Mumford, Chief Executive Officer of GoldLinQ. “Bombardier and our partners in the GoldLinQ consortium have delivered to the Gold Coast a first-class light rail system from which a truly integrated and sustainable transport network will flourish,” said Pierre Attendu, President for Systems Division at Bombardier Transportation. The GoldLinQ consortium includes: Bombardier Transportation for the electrical and mechanical system scope; construction and civil contractor McConnell Dowell for the civil works; global public transport operator Keolis and Australian road and rail services business Downer EDI, who have formed KDR (Keolis Downer EDI Rail) for the operations and maintenance; and Plenary Group, financial arranger and commercial adviser.